Photographer Nick Forslund assembled a book for his senior art project at UW-Whitewater. Gary: A Texture Tour contains photos from our urbex trip to Gary, Indiana, which was funded by American Urbex contributors. 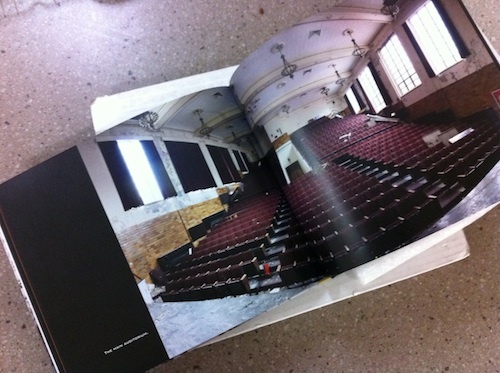 I am thrilled that he used American Urbex and some of my own photos as a resource. The end product makes for one fascinating coffee table book. They are available for purchase at Blurb. We realize the cost is a bit steep, but there is no profit made at all on this product. Each copy is custom printed when it is ordered and the quality is amazing. In any case they make great presents for the holiday.